The EN drive is designed to be flexible, reliable and easily controlled with single or multi axes controllers. They are available in three power ratings and configurable for seven modes of operation. EN drives quickly configure using Windows-based PowerTools FM software. A diagnostic display on the drive informs you of drive status and faults. Faults can be stored with a time stamp for easy recall. Drives are also equipped with braking capabilities. 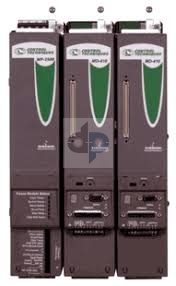 These drives are designed to work with a snap-on Function Module to enhance indexing, programming and create complex motion profiles. They are as such: FM-2 Indexing module, FM-3 Programming module, FM-3E Ethernet module, FM-3DN DeviceNet module, FM-3PB Profibus module, FM-4 Advanced programming, FM-4E Ethernet, FM-4DN DeviceNet and FM-4PB Profibus. Motor Power, Feedback and Brake cables are available in standard and custom lengths and high-flex versions. Selecting an EN drive,options and accessories appropriate for your needs is easy.